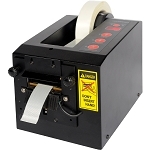 Film rollers for use with rolled films, poly bag tubing or centerfold shrink film up to 42" wide. Film rollers keep the roll of film off the floor while unwinding. All rollers are of steel construction. 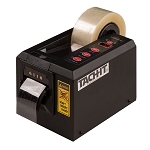 Film rollers for use with rolled films, poly bag tubing or centerfold shrink film up to 42" wide. Film rollers keep the roll of film off the floor while unwinding. All rollers are of steel construction. The film rollers are durable and sturdy with a non-slip base. Some models have a built in center-fold bar (separator) which is used for separating and keeping centerfold films open as it is being unwound.